A couple of months ago, we reported that Arnold had taken over lead creative duties on the Hardee’s brand from Havas less than a year after that agency won the review for parent company CKE. There was some disagreement over our contention that a portion of the work had moved away from Havas, but it turned out to be true. Arnold, current AOR for Hardee’s, hopes to pick up the other brand as well. 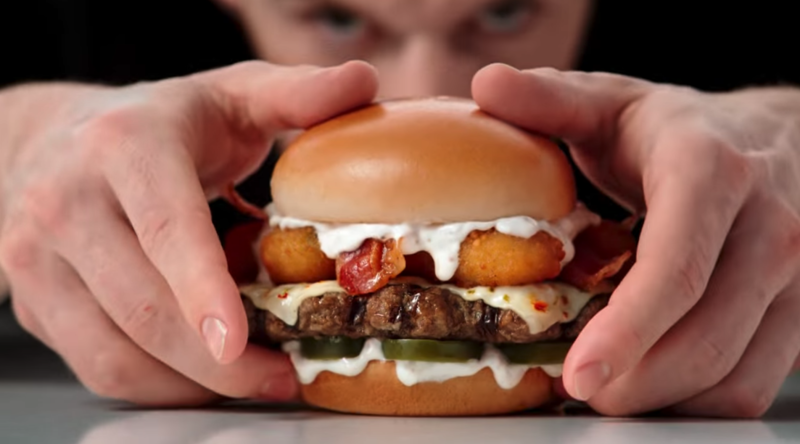 Several parties close to the business have confirmed that the agencies currently pitching for Carl’s Jr. are Arnold, Argonaut, Camp+King, The Community San Francisco and M/H VCCP, formerly known as Muh-tay-zik Hof-fer. The latter four shops are all based in San Francisco. Camp+King, like both Arnold and original AOR Havas, is also part of the Havas network, bringing an extra layer to the Havas/CKE relationship. Spokespeople for all five agencies declined to comment, as did a CKE spokesperson. We will be very interested to see where, exactly, the Carl’s Jr. brand goes after its many recent reinventions. Over the past two to three years, it has parted with CEO Andy Puzder, those famously sexualized ads, and longtime AOR 72andSunny. Havas’s work was very initially product-centric and featured the voiceover talents of one McConaughey comma Matthew. Here’s one from last June. More recent efforts have focused on the chain’s new partnership with top veggie burger brand Beyond Meat. The latest estimates from Kantar have Carl’s Jr. spending between $60 and $80 million on paid media in the U.S.